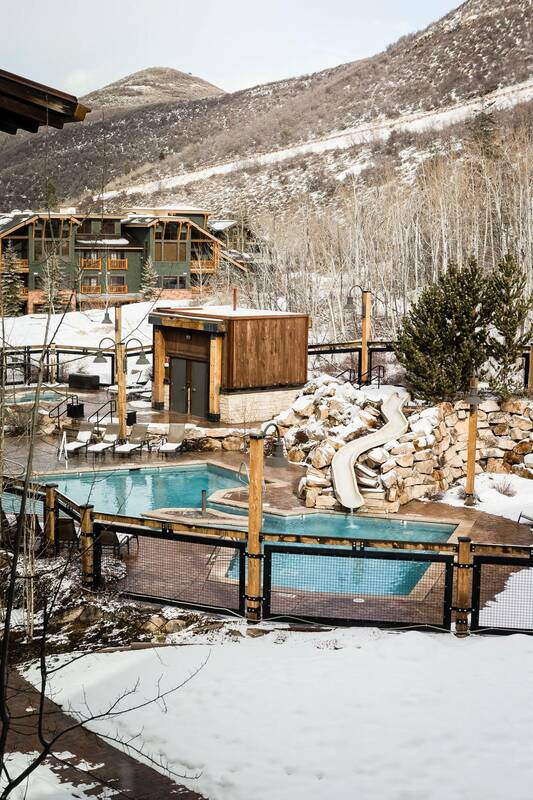 If you’re looking for luxury combined with fun in the snow, then you should consider Deer Valley Resort in Park City, Utah! Every year we take a winter trip as a family, usually along with some good friends and spend some time on the slopes. Growing up in Scotland I had my fair share of snow, but I was never bitten with the urge to slide down a mountain on anything other than a sled. But since moving here I naturally gravitated towards snowboarding and left the skiing to others. That was until we visited Deer Valley Resort. You won’t find any snowboarders there and that’s okay, Park City still has lots of runs available for all activity types. I was excited to see how things were going to be on ski’s compared to being anchored to a board, and I wasn’t disappointed. After dropping the kids off at Adventure Club (more about that later) my wife and I made our way to meet our personal instructor for the day. His name was Andie and he didn’t just make me feel relaxed and confident, he was also really funny. Andie swore he’d convert me to being a skier by the end of the day, and I admit that he might have succeeded. 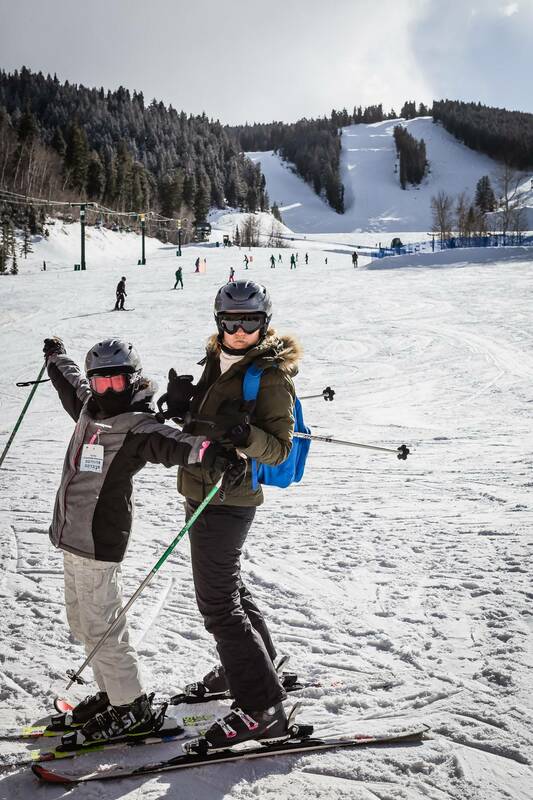 You can request lessons for any ability level and I can confidently say that after spending time at Deer Valley, the customer service and staff are beyond anything I thought it might be. The kids had a great time in The Adventure Club, so much fun that my son begged to go again the next day! You can drop the kids off at the club in the morning and they’ll be well-taken care of. Lunch and snacks are included with plenty of water breaks and hot chocolate. 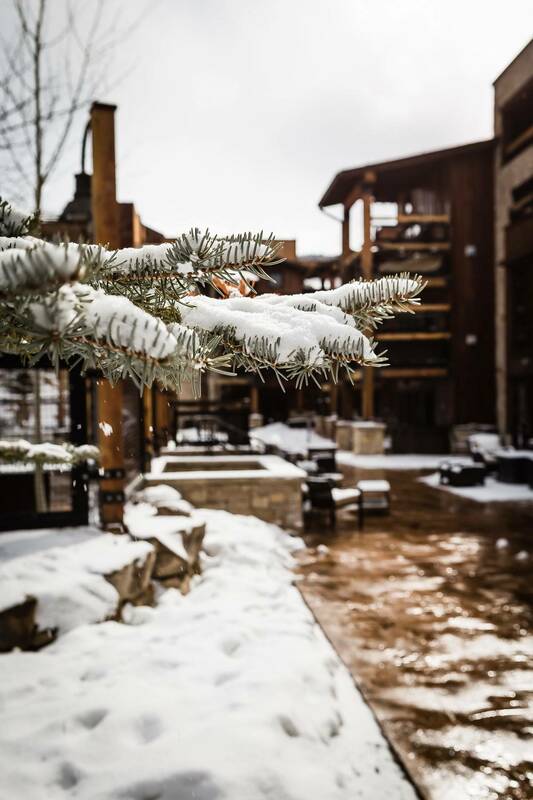 It’s that special attention to details that makes Deer Valley stand out from other ski towns we’ve been to. Everything to make your stay be completely stress-free has been thought of. 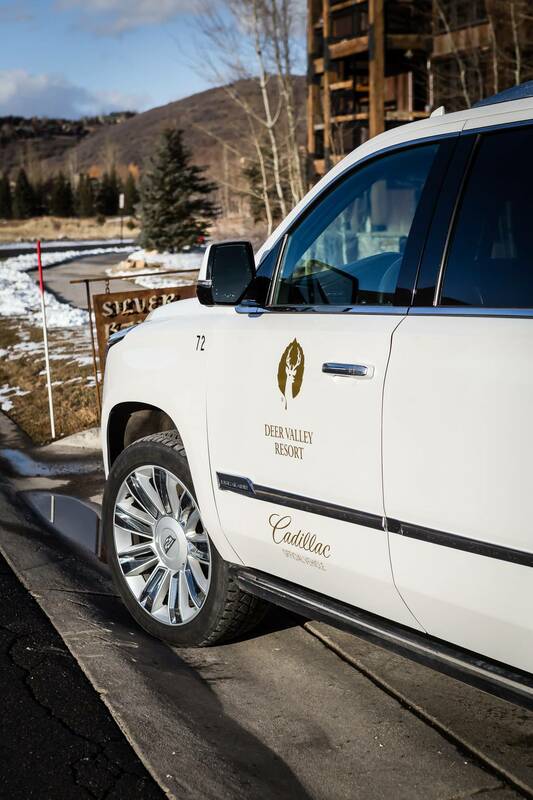 As well as regular shuttle buses running regularly to the slopes, you can also request one of Deer Valley’s Cadillac SUV’s to drop you off, and they’ll even come and pick you back up! This service is also really handy if you want to head to Park City for some dinner or shopping, Main Street is about 10 minutes away. As close as that sounds I still felt like I was in the middle of the mountains with nothing else around me for miles. 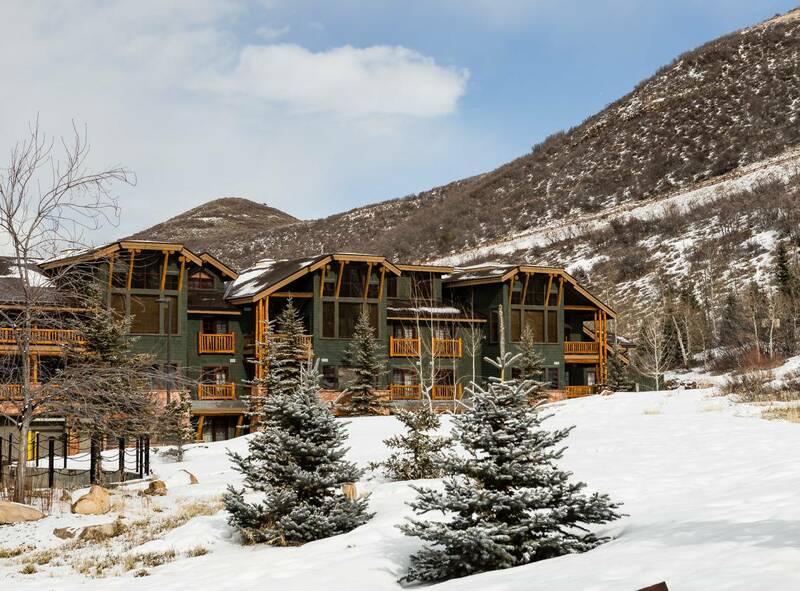 We stayed at The Silver Baron Lodges, the rooms were extremely comfortable and ours came with a full kitchen, laundry facilities and much to the kid’s delight, a hot tub on the deck outside! That hot tub was well used after our ski days and it was the perfect way to end the day. The Silver Baron also boasts it’s own outdoor heated swimming pool, fire pits for s’mores and hot cocoa with fresh baked cookies every afternoon, love those little things again. A generous breakfast is included at the lodge with all tastes covered. From bake your own waffles, pastries, meats, eggs, oatmeal, coffee, and juices there’s definitely something for everyone to fill up on before heading up to the mountain for the day. 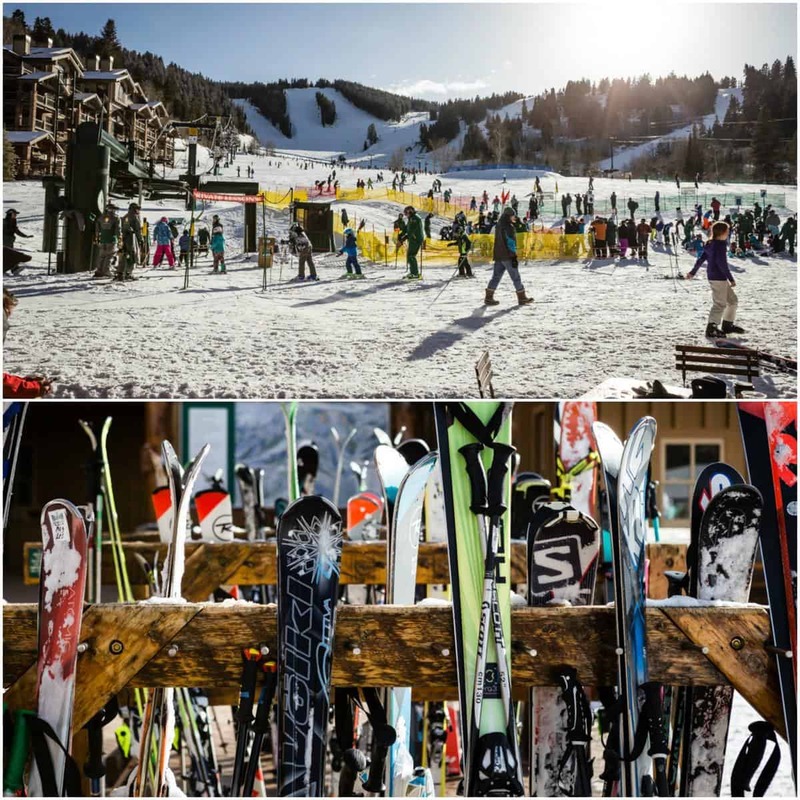 If you need to rent equipment, you have options to skip those long lines that usually happen at other resorts. Next door to Silver Baron is Lodges, a place where you can get fitted for everything you’ll need for skiing. Don’t forget to take advantage of the storage corral at the base of the slopes. You can leave your ski’s here overnight so no awkward heavy lifting to get back to your room and then easily pick them up the next day. Wherever you decide to turn in your equipment doesn’t really matter either because the same system is used throughout the resort! So what can you do if you’ve skied so much that your legs are hurting and you’re completely starving? (true story). 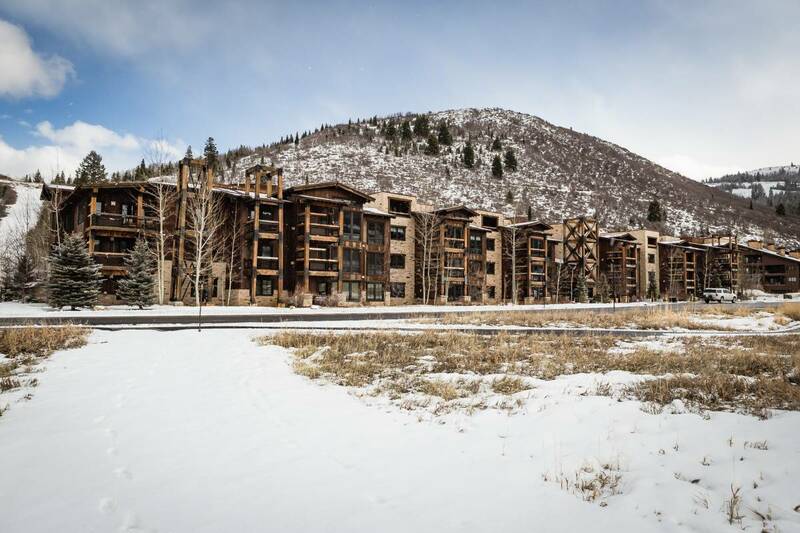 With some excellent choices available finding good food is really easy at Deer Valley. That’s because they pride themselves on going above and beyond the usual burgers and hot dogs. 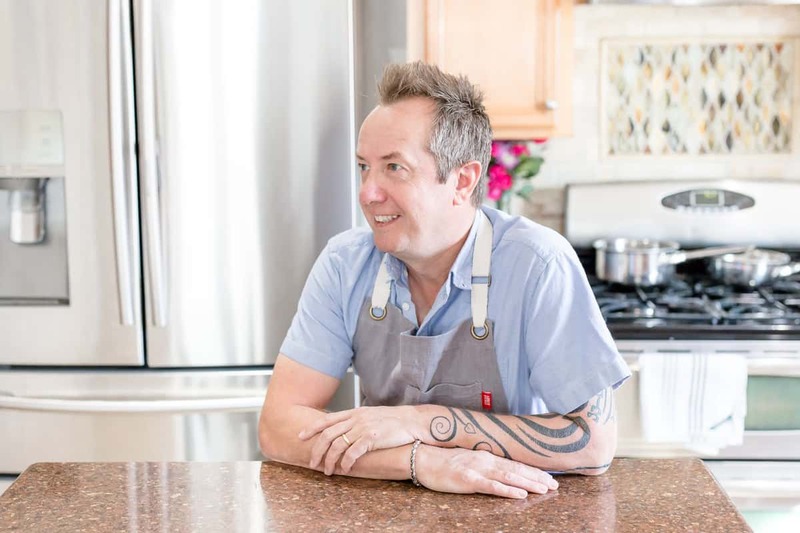 If you don’t feel like having breakfast at the lodge, you can try the Deer Valley Grocery Café. It’s small and cozy but the menu is definitely not. This is where I had my first taste of the famous Deer Valley Chilli and it was so good! 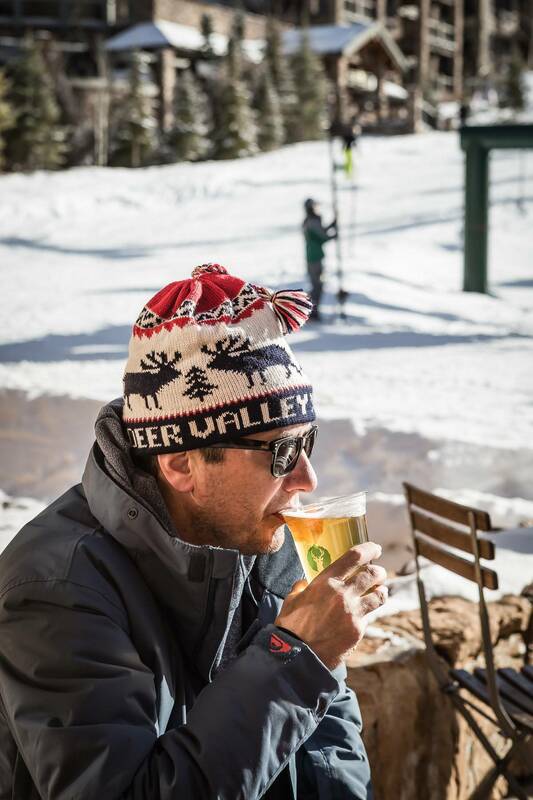 You can even buy a ready to go Deer Valley private label kit at the café and make your own chili when you get home. Another thing you MUST try is the fresh bakes Cardamom and Pistachio Morning Buns, I could start every day with one of those! 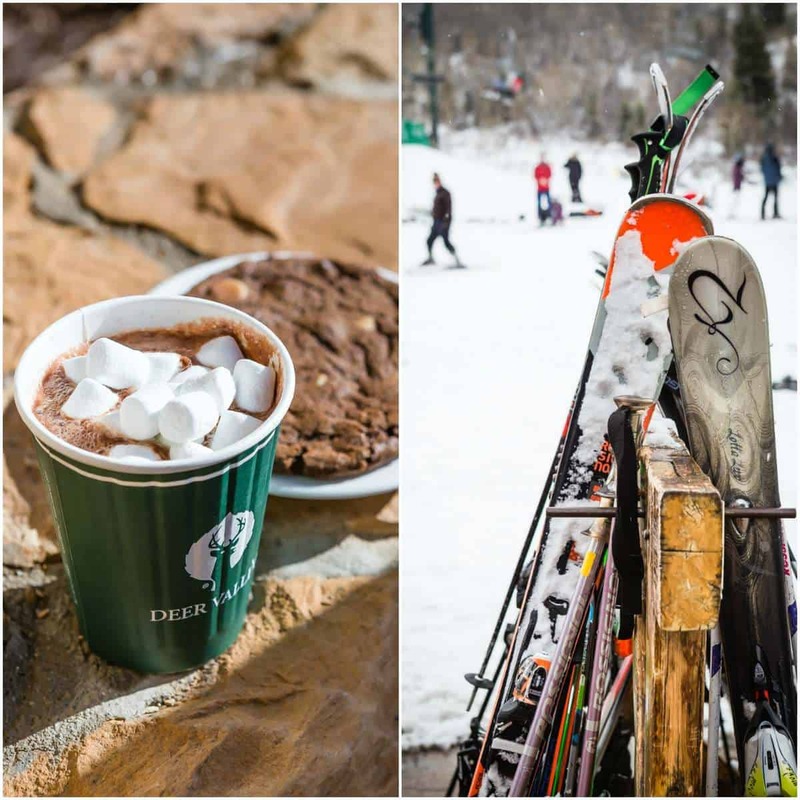 You’ll also see lot’s of people with a hot chocolate in one hand and a giant Deer Valley chocolate cookie in the other and once you try this combo you’ll understand why it’s so popular. The cookie mix is also available in kit form so you can bake them at home and pretend you’re still on the slopes! There’s a great selection of beer, wine, and snacks too if you just feel like doing some people watching. The Brass Tag restaurant is on the second floor of The Lodges. The avocado fries with garlic aioli were gone before the server had barely turned to walk away and the potato chips with chimichurri sauce and bacon didn’t last much longer. My salmon with coconut milk rice was cooked perfectly. The restaurant is warm and cozy and a perfect way to end the day. The Royal Street Café can be found mid-mountain and that’s where I stuffed my face with some epic short rib tacos. You can have lunch or dinner here with the menu changing slightly between. 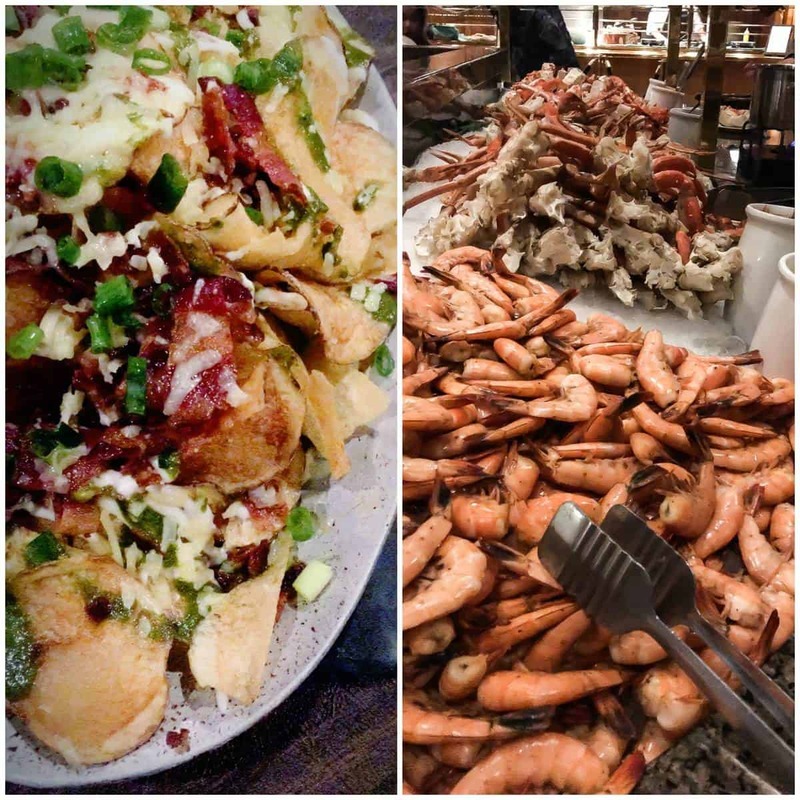 If you visit Deer Valley you should definitely make a reservation for the Seafood Buffet. To be honest, I’m not a huge buffet style fan in general but this experience is actually nothing like any regular buffet I’ve tried. 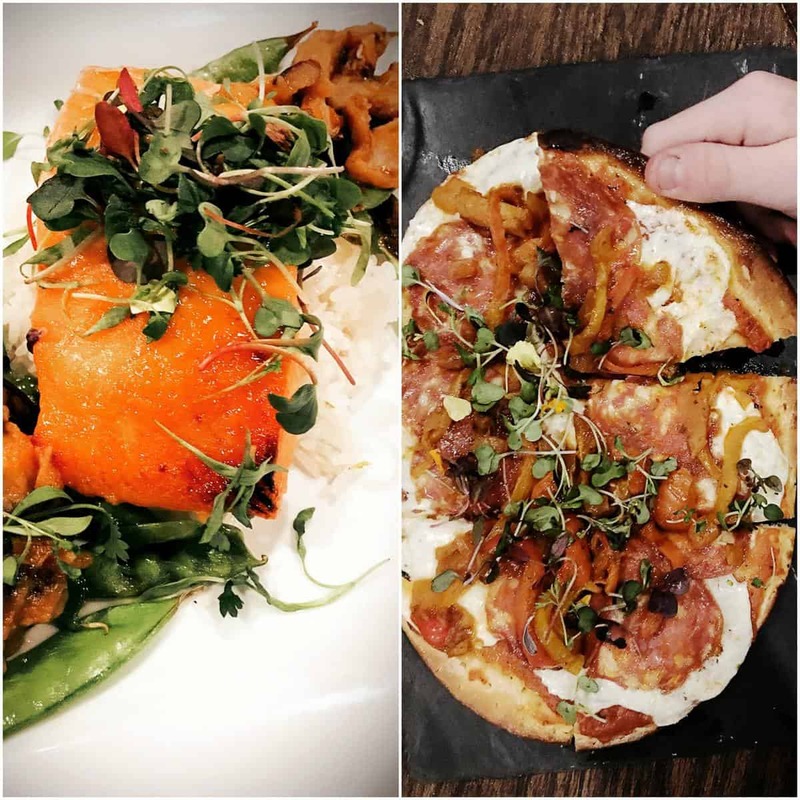 The restaurant is located inside Snow Park Lodge, the same place you’ll probably have lunch in the afternoon among the many skiers stomping around in their snow gear. But at night you wouldn’t believe that it was the same place. It’s transformed into a relaxing and warm atmosphere with an incredible choice of seafood. 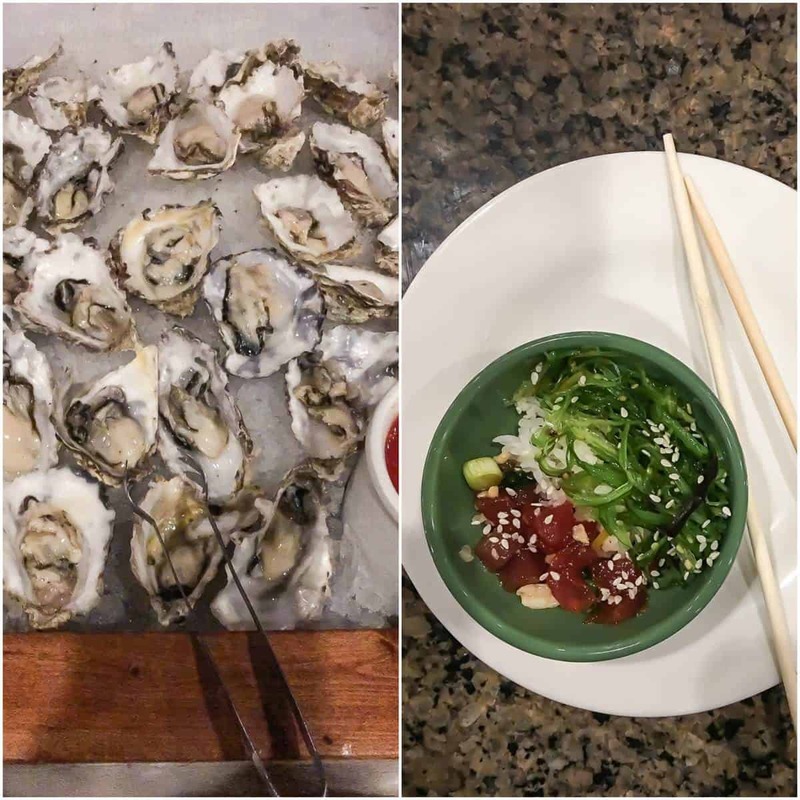 Luckily both of my kids have grown up to love seafood so they were in heaven when they laid eyes on the fresh crab legs and make your own tuna poke. My seven-year-old thought it was so much fun ordering his own seared ahi! If you actually make it through all of the seafood choices (major high five if you can) save some room for dessert. The dessert bar is beyond amazing and the signature flourless chocolate cake that looks like a snowball literally melts in your mouth. You MUST try it. 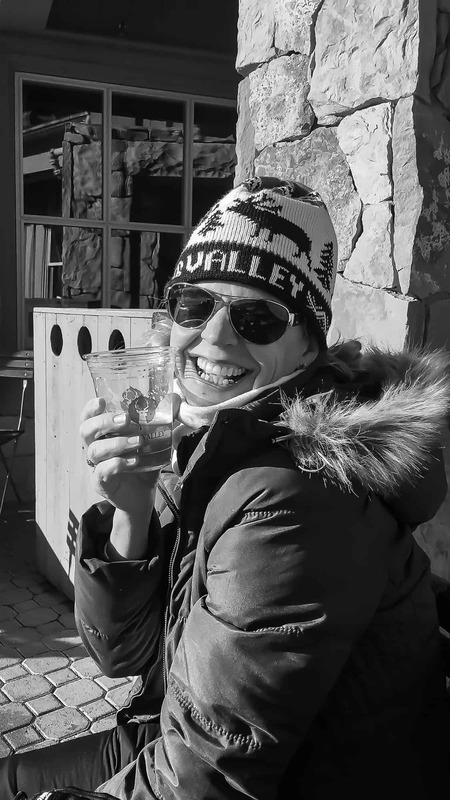 I mentioned that it was the little things that make Deer Valley special, so I compiled a list of things that we experienced that I think sets Deer Valley apart from other places. Customer service- From the front desk staff to the shuttle drivers, every employee had a smile on their face and were really helpful. Always a genuine hello and welcome from the staff each time we left or returned to Silver Baron Lodge. Awesome hot chocolate and fresh baked cookies every afternoon in the lobby. My kids had a great time playing with the dog in the lobby. Kids bathrobes!! Seriously, mini-sized bathrobes. The ski corral is really handy and means you don’t have to carry your ski’s and poles down the hill. Depending on how busy the resort can get you might end up with a parking spot further away from the mountain. No worries because you can jump on the mini-shuttle and get a ride up the ticket office front door. Another shout out for the Cadillac shuttle service. Major comfort and readily available! We had an amazing time at Deer Valley and I can’t wait to return soon! From the skiing to the eating everything we experienced was above and beyond my expectations. If you get the chance to go, grab it because I know you’ll fall in love with it. Thanks to Deer Valley for generously hosting my family and me. All thoughts and opinions are my own. 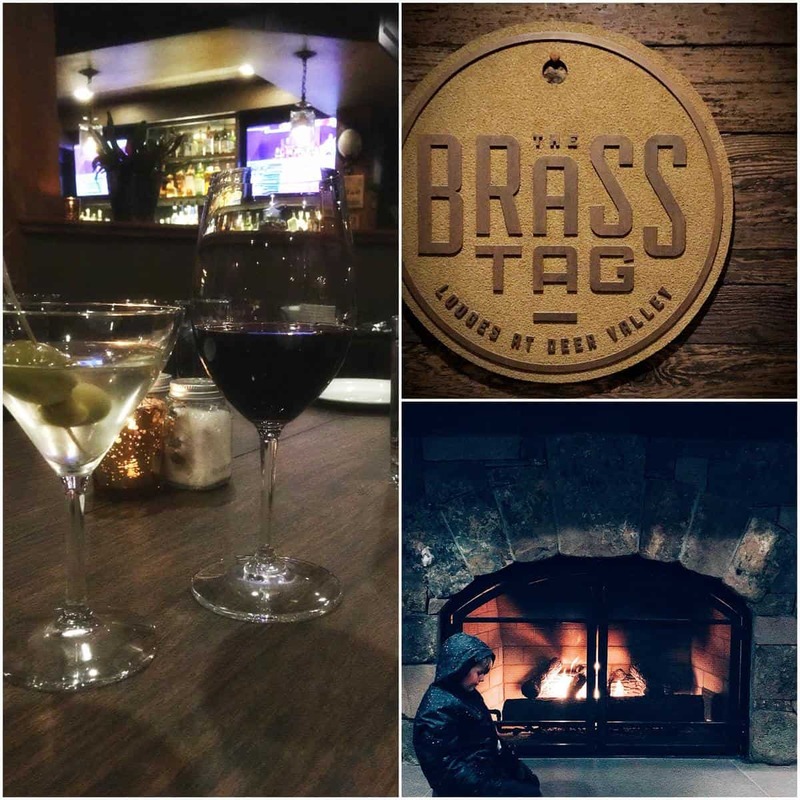 You covered so much of where to find good food at Deer Valley but left out our family’s favorite place to gather after a snowy day on the slopes. Fireside Dining at Empire Pass never disappoints and has a variety of Alpine foods that appeal to all ages. Try it next visit! Hi Becky, yes I’ve heard so much about Fireside Dining but my schedule didn’t allow for it :( Next time for sure!! Deer Valley is the BEST! 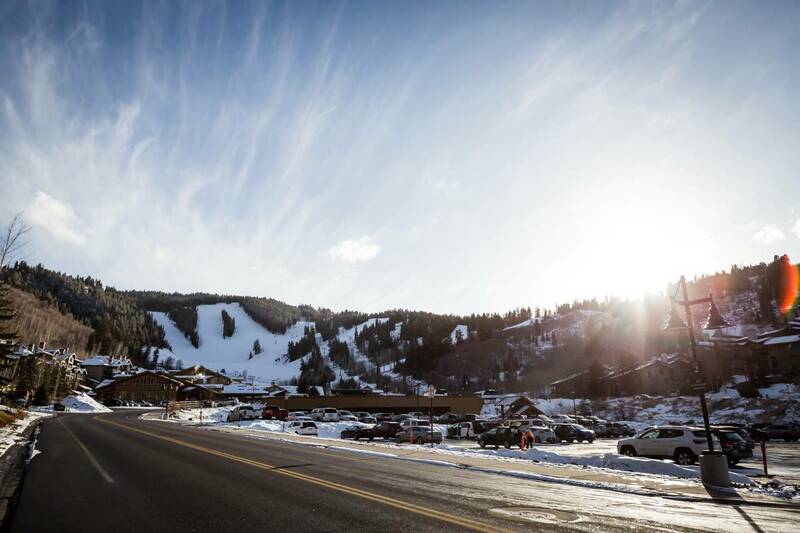 ooooh I LOVE Deer Valley- gorgeous pictures, I think I need to book a Spring skiing trip! I live in SLC and still haven’t been. AHHHHH blasphemy! Oh goodness! I need to go! I haven’t been yet and i live here. Gasp! Ahhh…these photos are taking me back! I’ve had the pleasure of going to Deer Valley a couple time and it’s always so wonderful. And I’m not even that big of a skier. But the resort and restaurants are so amazing, that it doesn’t matter! Deer Valley is one of my favorite places on earth! I’m so glad you all had such a marvelous time! It’s seriously so dreamy there!